Cook whole potatoes in boiling, unsalted water until tender. Refrigerate until chilled, chop into 1-inch pieces. Transfer potatoes to a larger bowl with remaining ingredients and thoroughly combine. Chill at least 2 hours before serving. Adjust seasoning prior to serving. 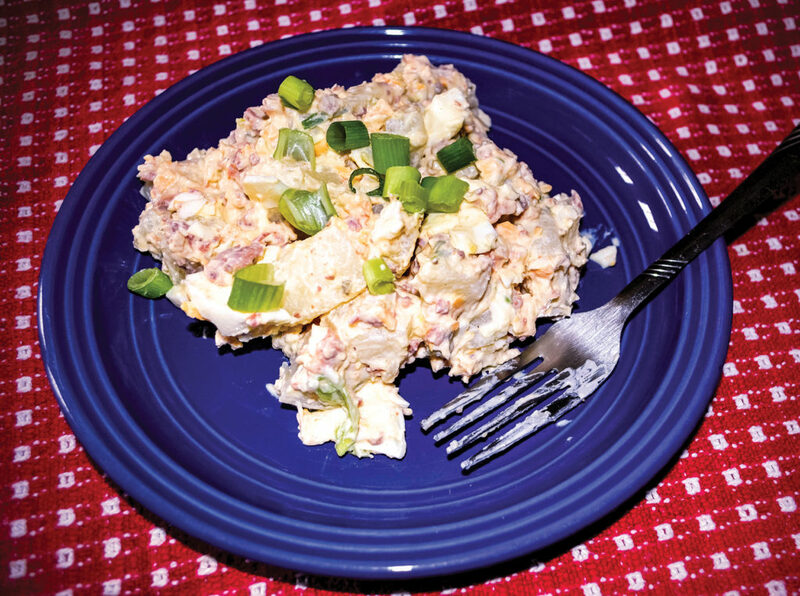 We featured this recipe in the October/November 2018 issue of Wisconsin Farm Bureau Federation’s Rural Route. Recipe courtesy of Wisconsin Potato and Vegetable Growers Association. For more recipes, visit eatwisconsinpotatoes.com.